Since 1999, Chambers & Partners has been researching the global legal profession, identifying the leading lawyers and law firms. Chambers Global 2018 rankings are determined through interviews with thousands of lawyers and their clients worldwide. The results are audited independently and are based on a range of professional qualities most valued by clients. October 2017 – Chambers and Legal 500 have recently released their annual Latin America rankings tables, and Chaffetz Lindsey’s International Arbitration team continues to be recognized as a top-tier firms for its work across the region. Aníbal Martin Sabater was promoted this year by Chambers Latin America to Band 3 for being a highly respected practitioner in this field and for acting as both counsel and arbitrator on complex claims. Sources report that he “has a lot of experience dealing with arbitrations against Latin American states, so he has the necessary background to guide the company through the complexities of an international arbitration process.” Legal 500 Latin America included Aníbal as a Leading Lawyer for the first time this year. Yasmine Lahlou was recognized by Chambers Latin America for being “very experienced in this space” and “adaptable to sensitive situations, as well as being a fact-finder and detail-oriented practitioner.” Yasmine has been named to Chambers Latin America’s Ranked Lawyers list for the first time. Chambers Latin America ranks lawyers and law firms based on feedback from clients and peers. The qualities on which rankings are assessed include technical legal ability, professional conduct, client service, commercial astuteness, diligence, commitment, and other qualities most valued by the client. To view the complete rankings able for their 2018 release, click here. Legal 500 Latin America is an independent guide on the legal markets across Latin America, which conducts research based on interviews with clients and peer lawyers. For more information about the 2017 Legal 500 Latin America International Arbitration rankings, please click here. 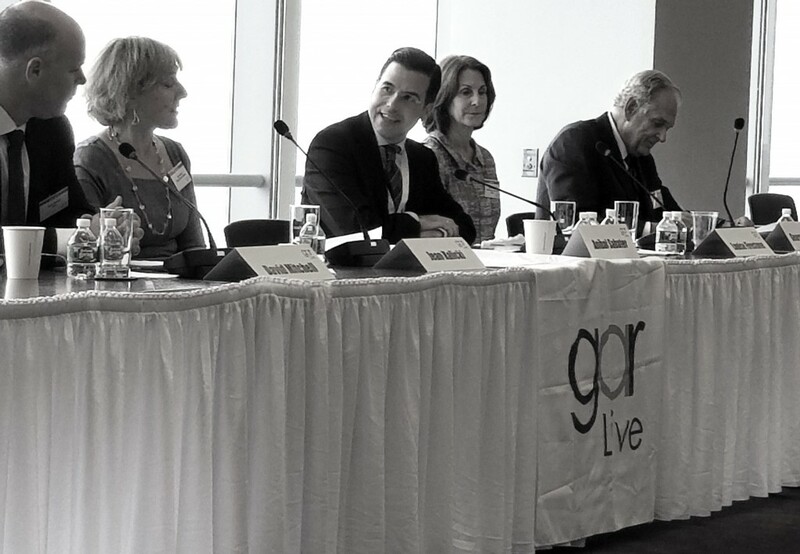 September 2017 – Several Chaffetz Lindsey partners participated in Global Arbitration Review’s 6th Annual GAR Live NY Conference. Partner James Hosking co-chaired the event with Hagit Elul (Hughes Hubbard Reed). The conference addressed several hot-button issues that impact the practice of international arbitration in New York, drawing on insights from leading arbitration counsel, arbitrators, in-house counsel and academics. Partner Aníbal Sabater moderated a panel that considered “Is arbitration insufficiently predictable?”. 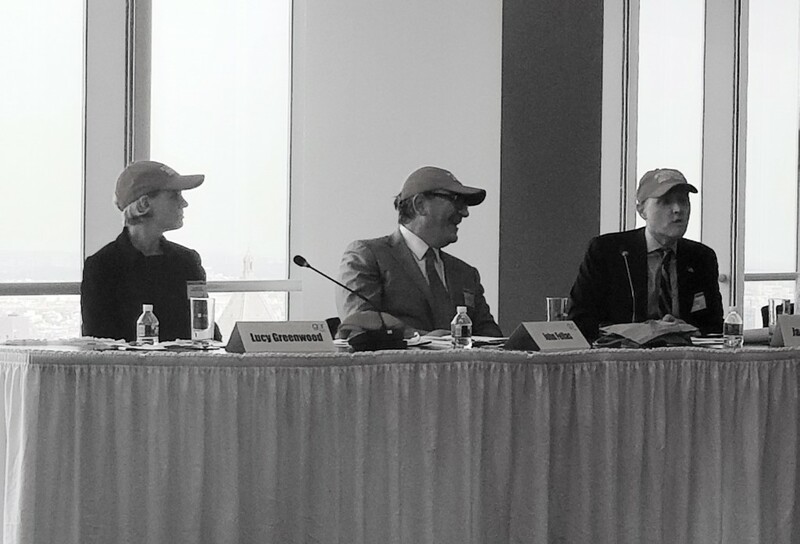 He was joined on the panel by Jean Kalicki (independent arbitrator), David Mitchell (BDO), Louise Firestone (SVP and General Counsel of LVMH Moet Hennessy Louis Vuitton), and Professor George Bermann (Columbia Law School). Co-chair James Hosking also led a panel on “Making International Arbitration Great Again.” The panel replicated a US senate committee hearing with James, John Fellas (Hughes Hubbard & Reed) and Lucy Greenwood (independent arbitrator) questioning a series of “witnesses” on the challenges facing arbitration and how to “fix” the system. For more information on the conference, click here (a subscription may be required). April 2017 – Spain’s leading business newspaper Expansión quoted partner Aníbal Sabater in an article entitled “Los inversores españoles de Popular podrán unirse a las demandas en EEUU [Spanish investors of Popular can join lawsuits in the US]” about class actions in the United States. The article was prompted by news that several US law firms are seeking shareholders of Spanish bank Banco Popular to file a class action lawsuit over losses of the bank’s value over the past several years. Aníbal is quoted explaining the procedure for forming and initiating class action lawsuits in US courts. The article was published in the April 6, 2017 print edition of Expansión. Aníbal Sabater is an international disputes specialist with over 20 years of experience, representing clients from around the world and industries as diverse as construction, energy, mining, shipping, technology, and telecommunications, in arbitrations under all major international arbitration rules, including AAA/ICDR, ICC, LCIA, and UNCITRAL. He has also acted in several investment arbitration cases under the UNCITRAL Rules and the ICSID Convention/Rules, as well as in commercial disputes involving states and state-owned entities. Licensed in several US jurisdictions, England and Wales (solicitor), and Spain, Aníbal has represented clients in disputes governed by the laws of more than 20 nations across Latin America, North America, Europe, North Africa, and the Middle East.